Organizations today have all new requirements to consider when it comes to application integration. 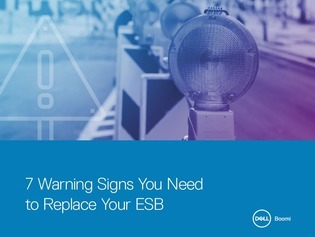 In order to support an unprecedented and growing volume and variety of connections needed to keep pace with digital business; it may be time to re-evaluate the efficacy of your enterprise service bus (ESB). In this whitepaper, learn how to identify the critical limitations of your ESB to support your evolving integration requirements, and learn insights on how to evolve your integration infrastructure in response to today’s changing needs.